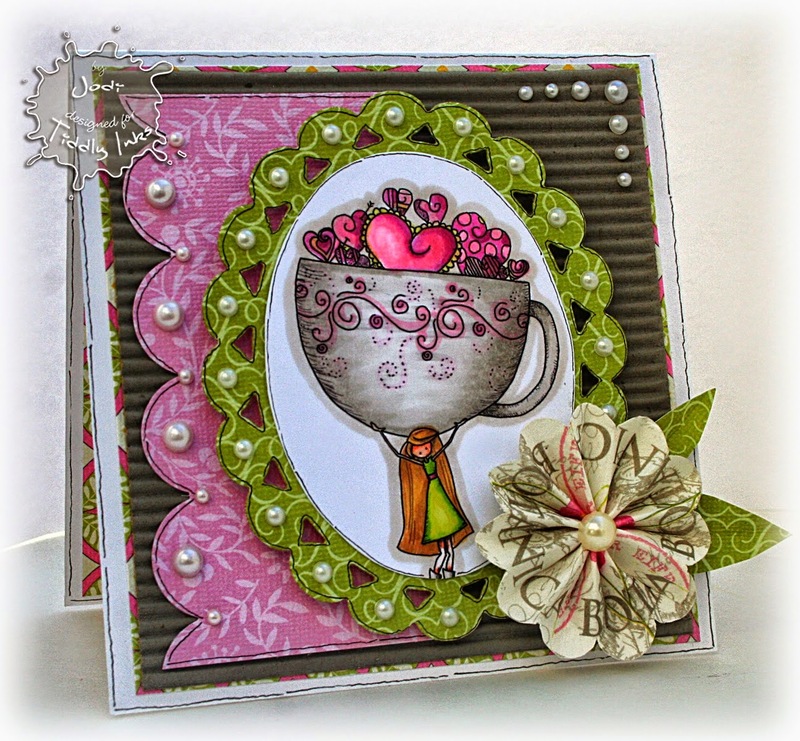 Just a quick share today to show off this card I made for our "Thursday Throwback" over at Tiddly Inks. I used an older image called Lily Bean Cup of Love. This is a sweet image that can be used for so many occasions. I paired her with some design papers from my scrap stash, die cut frame, and some corrugated paper and finished it with a rosette and lots of pearls. It has a great girly feel to it! eeeeeeeeeeeeeep! I love this Jodi. I have some of that corrugated card stuff and I have only really been brave enough to use it on a tag so far but it looks soooooo cool on this card. Just stunning Jodi. Love all the little pearl accents. Gorgeous card, love the colours & doodling's! Amazing card with lovely colours. Loving the colors of your gorgeous creation and the layout of it. The bling is a perfect touch.Thank you for sharing your awesome creation with us at 4 Crafty Chicks Anything Goes Challenge! !